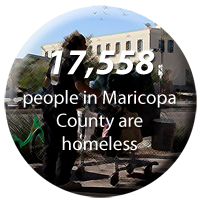 When it comes to homelessness, Arizona, Maricopa County, and Phoenix have a serious problem. 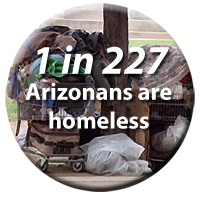 There are about 29,000 homeless people in Arizona — one in every 227 Arizonans. 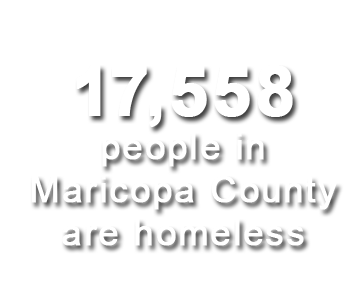 And an estimated 61% of them are in Maricopa County. Statewide, approximately 2,500 people are considered “unsheltered,” living on the streets. Most are single adults, and 79% of them are men. 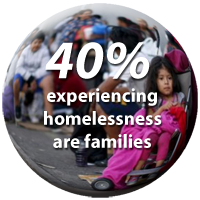 The number of homeless people in families is on the rise throughout Arizona; many of them are victims of domestic violence. According to DES, 4,346 adults and 4,095 children received help from domestic violence service providers in 2014. Isn’t it time we stop for a moment to think about what we can possibly do to help reduce the Homeless population in our community ? With very little time and effort, each and every one of us can make a significant impact in improving the lives of the Homeless. With a little extra effort, we can HELP reduce the number of Homeless in our community. Homeless Engagement Lift Partnership is a 501(c)3 corporation with the federal government and registered non-profit corporation in good standing with the Arizona Corporation Commission. With the Love of a Servant’s Heart, Our Mission is to Help Restore Dignity and Hope to those in our Homeless Community. Provide Immediate Aid and Comfort. 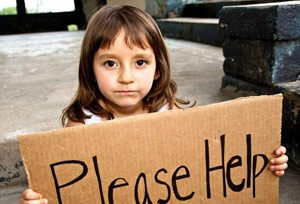 Advance Education and Knowledge for Those Who have Found Themselves in some Form of Homelessness. Promote Awareness and Purpose in the Community. Purchase H.E.L.P. apparel. Thank You for Your Support! Copyright 2016 H.E.L.P. | All Rights Reserved | Site Donated and Maintained by Jireh Communications Inc.